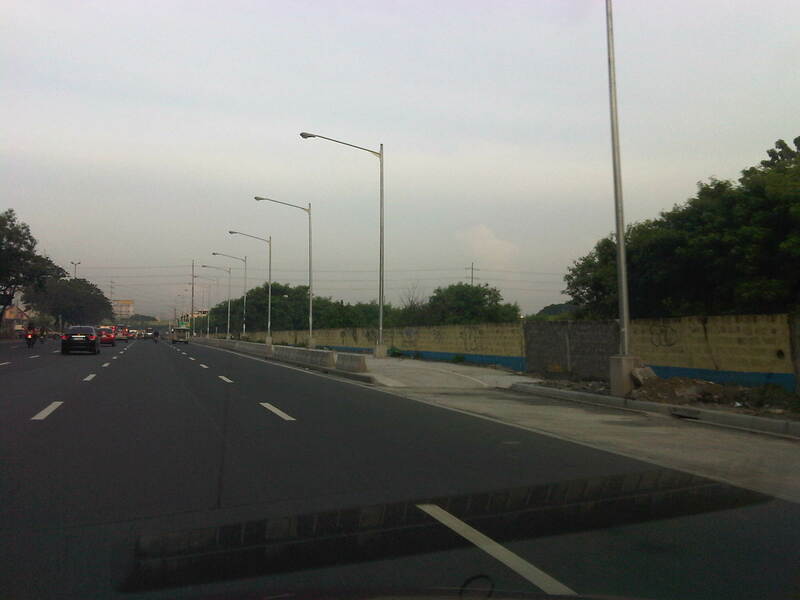 The improvement of Marcos Highway included provisions for pedestrian walkways and bikeways along both sides of the highway. 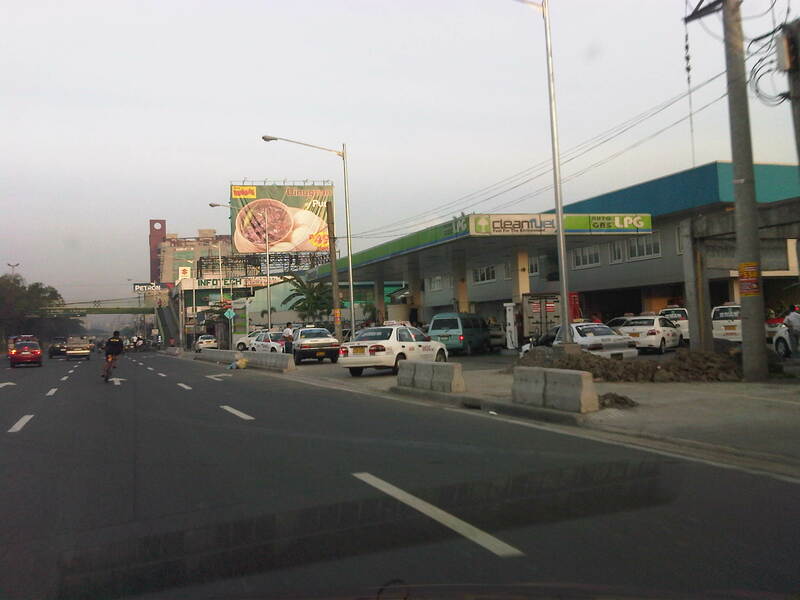 The inclusion of such provisions was a welcome development as both sides of the highway, particularly along the stretch from Dela Paz to Santolan, lacked pedestrian facilities. This situation has forced a lot of people to walk on the carriageway, putting them at risk of being sideswiped by motor vehicles like jeepneys and cars that are often speeding along Marcos Highway. I experienced this walking from SM Marikina to Robinsons Metro East one time I couldn’t get a ride from the Santolan Station. One had to watch out for puddles and canals in addition to watching one’s back for speeding vehicles that often come close to the roadside. Pasaway? – taxis at an LPG station parked or standing along the bikeways and pedestrian sidewalks. 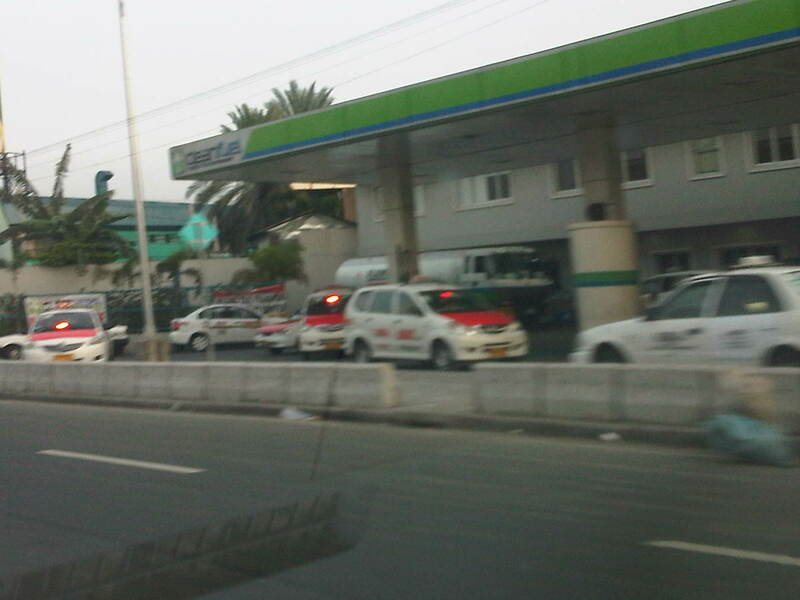 Taxis maneuvering as if all the space is for them including the space designated for pedestrian and bicycle use. 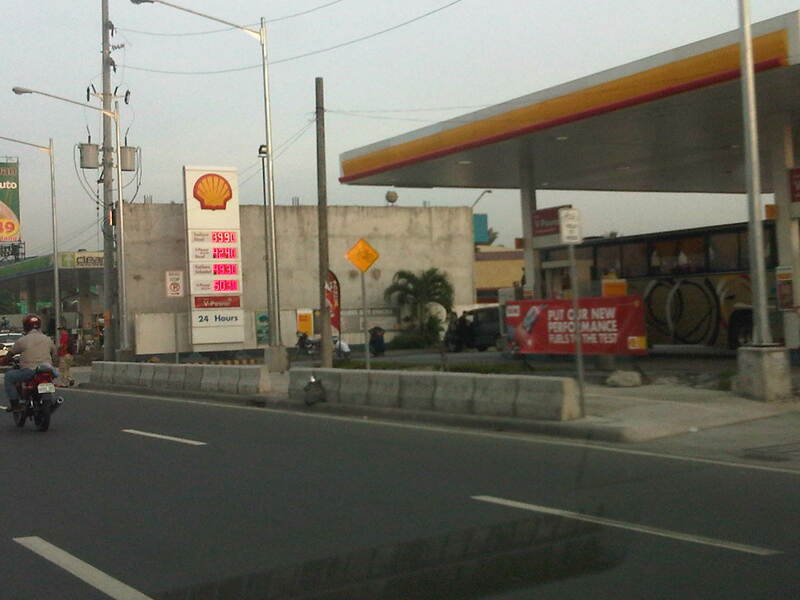 Spacious walkways and bikeways along westbound side of Marcos Highway. Lamp posts are installed to provide sufficient illumination not just for motor vehicles but for pedestrians and cyclists as well. Obstructions? 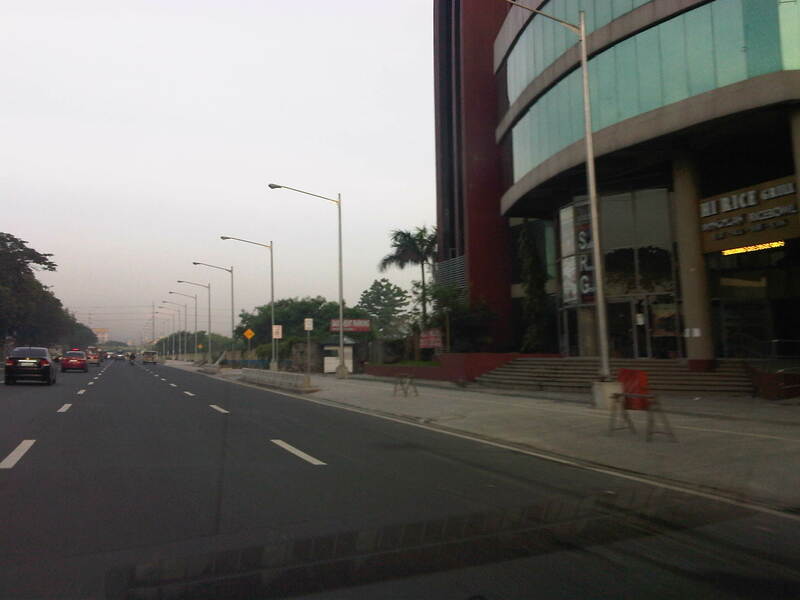 – some lamp posts seem to be in the middle of the walkways and bikeways , posing hazards to cyclists. This issue can be addressed at the very least by painting the posts so that they will be visible especially at night time. I will be writing more about walking and pedestrian facilities in the coming weeks in order to highlight good practices in the Philippines. I am currently looking forward to a trip to Thailand where I hope to collect photos of transport and traffic in Bangkok. It’s been a while since I last traveled to Bangkok so I am quite eager to see how Bangkok looks like particularly considering the destructive floods of last year when the waters of the Chao Praya River breached its banks. By d0ctrine in EST, NMT, Pedestrian, Walking on September 22, 2012 .